Here’s what the Riding Mode Select System allows you to control. Power Selector (5 levels), which regulates engine power from peak output in all six gears at Level 1 to gentler power increase at Level 5 (all levels have the same throttle response on initial opening). 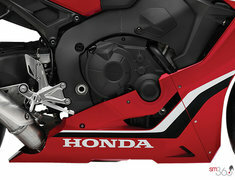 Honda Selectable Torque Control (9 levels and off), which manages rear-wheel traction and front-wheel lift under acceleration. Selectable Engine Brake Control (3 levels), which regulates the amount of engine-braking force when you roll off the throttle. The 43 mm fork incorporates Showa’s latest Big Piston technology with a larger damping-oil volume to effectively reduce the hydraulic pressure generated as the fork legs compress and extend. The result is more precise action during the initial stroke and smoother overall damping action for improved handling, enhanced front-end feedback, and a more solid feel during hard braking. At the back, the Unit Pro-Link® rear suspension features a patented Balance Free Rear Shock from Showa that incorporates a unique double-tube design featuring a damper case plus an internal cylinder for more-responsive, smoother damping action and a smoother transition between compression and rebound, resulting in improved traction and road holding. 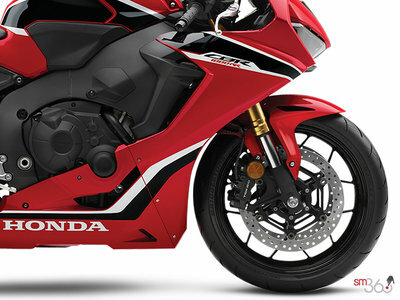 The CBR1000RR’s gyro-assisted ABS takes anti-lock braking technology to an even higher level. Using lean-angle data from the IMU and both front- and rear-wheel speed sensors, the system allows hard trail braking into corners and limits rear-wheel lift—preventing the rear of the machine from elevating or “backing in” around the front. 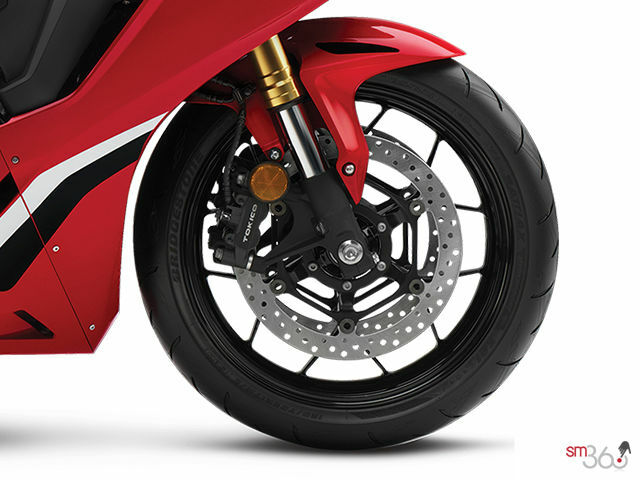 Radial-mount front brake calipers use newly developed brake pads with a high coefficient of friction that perform better at the elevated temperatures created during aggressive riding. Light, powerful and easy to control. 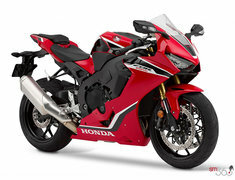 The 16-valve DOHC engine found in the CBR1000RR resuts in a 10 horsepower increase over the previous generation and a significant overall lightweight design. Powered by rich racing ?heritage and proven real world performance, the flagship CBR1000RR maintains its user-friendly character, specifically designed and dedicated to the concept of total control. Engineered with extraordinary precision and designed with powerful purpose, the high horsepower engine revs harder and higher thanks to its 13:1 compression ratio, advanced cam timing ?and high revving 13,000 rpm redline. The pistons feature an optimized wall thickness and crown design, while the piston rings have Diamond Like Carbon (DLC) coating that improves sealing. 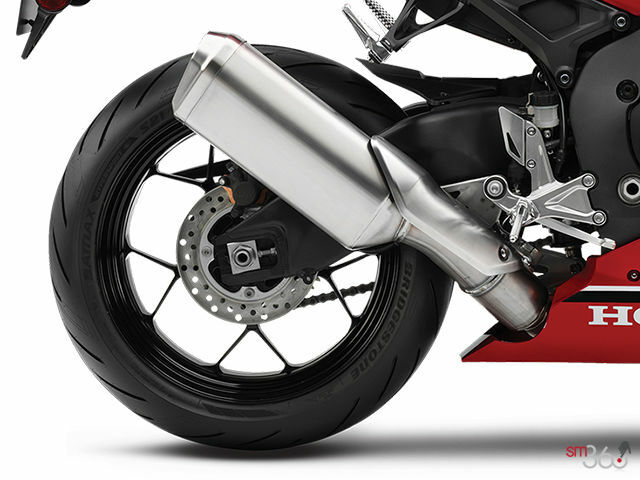 Polished inlet and exhaust ports in the cylinder head and “gas-flowed” combustion chambers improve efficiency, and the intake funnels are “slash cut”, a design used in World Superbike. From the use of a magnesium oil pan and ignition cover to a light Assist Slipper Clutch with light yet strong transmission gears, it all adds up to an engine that’s 2 kg (4.4 lbs) lighter than that found in its previous generation. This incredible attention to detail even included ?careful analysis on the precise shape and length of bolts, hoses and clamps. The CBR1000RR features a cutting-edge electronic control system, allowing you to tailor its performance exactly the way you like it. Central to the system is the 5-axis Inertial Measurement Unit (IMU) gyro, which precisely measures what the machine is doing, in every plane. 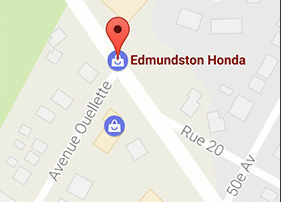 It works with the fuel-injection ECU, Throttle By Wire system—the first on an inline-four Honda—and even the ABS system to provide unparalleled ride control right at your fingertips. 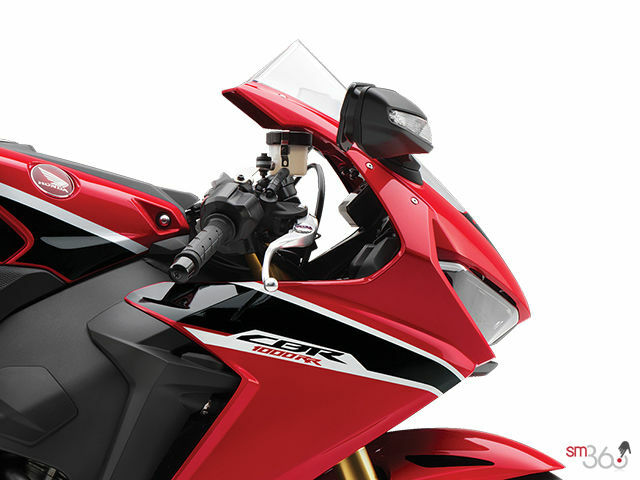 The Riding Mode Select System makes it easy to program the CBR’s electronic controls for various types of riding situations. 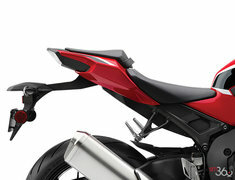 Accessed via the instrument panel and switches beside the left handgrip, RMSS lets you choose, on the fly, between five different combinations of electronic control: three modes offer preset combinations of engine power level, rear-wheel traction and wheelie control, and engine braking strength, while two additional user settings allow you to customize combinations to your exact preferences. Like the exotic RC213V-S, the CBR1000RR uses a full-colour TFT liquid-crystal instrument panel that automatically adjusts to ambient light. 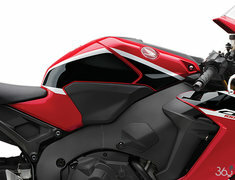 It includes a speedometer, tachometer and odometers, plus indicators for gear position, shift-up point (rider adjustable), fuel economy, distance to empty, and more. 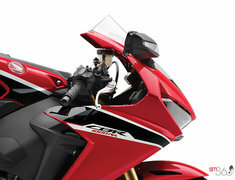 And by choosing one of three modes—Street, Circuit or Mechanic—the panel also reveals a wealth of additional data. Street shows you the Riding Mode you’re in plus the settings for each parameter: P (Power Selector), T (Honda Selectable Torque Control), and EB (Selectable Engine Brake). Circuit adds to these the lap time, number of laps, and difference from the best lap. Mechanic displays such info as grip angle, coolant temperature and battery voltage. All lighting is crisp LED, with the twin front headlights offering high/low beam on both sides. The brilliantly bright headlights also further improve the CBR1000RR's mass centralization due to their lightweight versus traditional headlight systems. A compact car-style wave-design ignition key offers additional security and greatly reduces the chance of breakage. 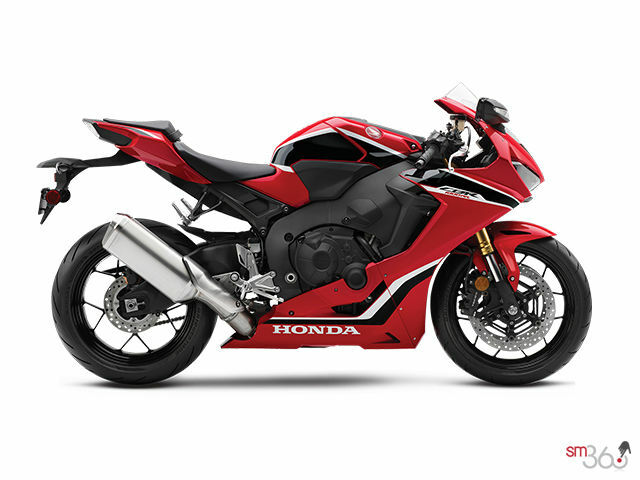 Did you like the 2018 Honda CBR1000RR ABS?